With this post, here at MoneyNet, we aim to dispel all doubts and issues an online seller might have about “trusting” its product to a certain marketplace. Also, we’ll list best marketplaces that most definitely deserve your consideration. But first, you need to know what to look out for. Selecting that one (or more) profit-making marketplace, starts by evaluating your assets. Figuring out how to calculate ROI and assessing the best marketplace for your business begins with understanding your needs. The rapid expansion of marketplaces has led to having category-specific marketplaces that give customers a wide selection concerning specific product types. Thus, one of the main challenges for online sellers is determining what makes the most sense and what doesn’t regarding their product type. 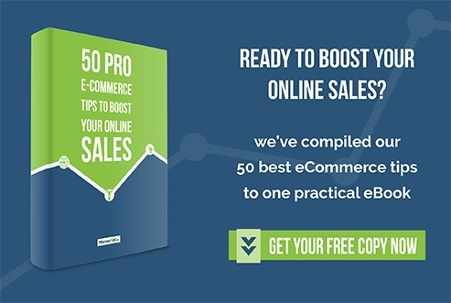 When deciding where to sell online, e-sellers need to look out for a few things. First, there is the product type. Major marketplaces like Amazon and eBay first come to mind, and rightfully so. Buyers trust them and there is a huge customer base at hand. Still, your product type dictates how much success you’ll have. For instance, if you are dealing with vintage or handcrafted items, you are more tailored to a niche market like Etsy. Competitive landscape of each marketplace is also important as the more dominant ones have more sellers, saturating the market. With that in mind, geographical considerations in terms of growing locally before expanding should also be in the mix. With various e-commerce and social media tools, it’s easier to drive growth on a local basis first, utilizing targeted geotagged content. Finally, the features and pricing of the marketplace also play a significant role. Listing a product on Amazon is not the same as on eBay, nor does it provide the same level of information, nor does it cost the same. Thus, one marketplace may be a more lucrative option than the other, both in terms of available resources and money invested. With all that sorted out, here are the best marketplaces for online sellers. Amazon is the world’s largest online retailer for a reason. It offers all types of goods, making it the richest selection of products around. The appeal lies in its easy-to-use platform, wide reach of potential customers, and its Fulfillment by Amazon (FBA) service, ideal for scaling business as the retailer provides everything; storage, packing, shipping, and customer service for products. Naturally, the competition is through the roof, a staple of large marketplaces. But, as Hendrik Laubscher, one of the foremost e-commerce experts, puts it - you can’t out Amazon, highlighting what makes it a standout on the crowded market. 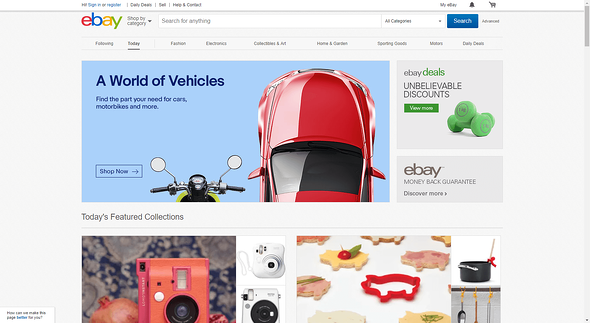 A familiar face around the globe, eBay also features a broad selection of products offered by businesses of all sizes. Like Amazon, it’s suited to almost anyone, with vintage goods and collectibles faring quite well due to the far international reach. Being an auction site makes the biggest difference here. Still, there are a large number of people looking to buy things and the huge volumes of traffic is surpassed only by Amazon. eBay also has the same ultra-competitive landscape but higher listing fees. The “shop for anything from creative people everywhere” tagline says almost everything you need to know. Here, customers can find handmade, vintage, and unique goods in different categories. In that regard, Etsy is a great niche-specific market for e-sellers that dabble in specialty items either on their own or sourcing. Plus, it’s cheaper too, in terms of product listing and fees when compared to Amazon and eBay. However, the good word of mouth made the market saturated, with a lot of focused competition in very specific categories. While Bonanza doesn’t have the name recognition nor the global reach as the above-mentioned marketplaces, its popularity is constantly growing. The eBay-like marketplace has free listings and low fees, with options that include Amazon/eBay/Etsy CSV import or sync, direct advertising to Google, Bing, and others, as well as various other tools for better customer experience. All this makes Bonanza a great seller-centric platform for small businesses and entrepreneurs that deal in different products, especially those of a somewhat rare and quirky nature. This is the go-to place for expanding your sales web into Asia, most notably China. Alibaba is the leading Asian marketplace that sells all wholesale product types for both business and customers. It serves millions of buyers and suppliers on a global level, providing all the necessary tools to establish a local presence. Think of it as an Asian version of Amazon, including the FBA-like service. Since it’s more of a B2B than B2C platform, selling depends on a number of factors, most notably gross margins, shipping costs, and supply chain management. Thus, it’s hardly suitable for smaller business. Much like Alibaba, Rakuten is Asia’s finest when it comes to online selling. A bit more differentiated in terms of product type, the Japan-based marketplace is dealing mostly in computers, electronics, apparel, home, and sporting goods. Customers who frequently buy on Rakuten are mostly still from Japan and, as such, typically not the same ones who use other marketplaces. This certainly registers as an opportunity to build a loyal international customer base, but not an easy one as local customers value long-term relationships, making them a tough nut to crack. For tech-savvy sellers, Newegg is worth considering. 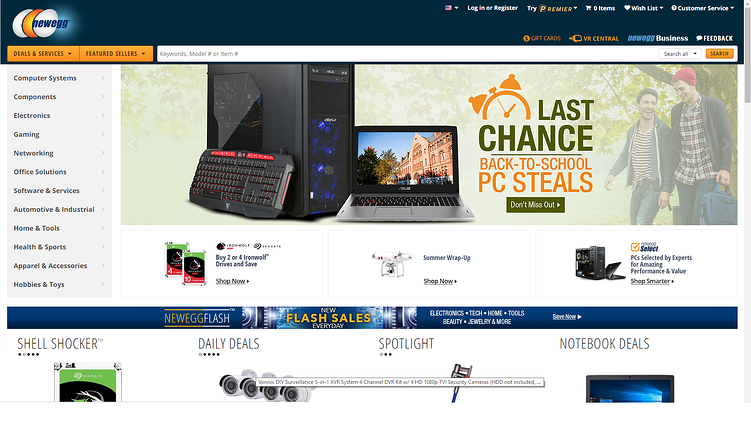 The marketplace primarily sells computer hardware and software, as well as electronics, tools, appliances, sporting goods, and more. Low commission rates and targeted customer base are Newegg’s two biggest appeals, essentially boiling everything down to seller’s pricing tactic and customer service. Still, its niche-oriented focus is also its biggest con as you are catering to a smaller, more selective audience, particularly if you are selling no-name products. Zibbet is a haven for selling handmade products. For starters, there’s a free plan that provides a risk-free way of testing the marketplace. Naturally, sellers can opt for a paid subscription from three available options, starting from as low as $4 per month. That gets you some basic stats and no listing or transaction fees, with each more expensive paid plan upping the stakes accordingly. Thus, you really have to pony up some cash to get the real feel of the marketplace. Additionally, it’s still a really niche market with not much traffic (especially compared to Etsy) but it’s growing. These are just some examples of the thriving marketplaces e-sellers can set a camp on. 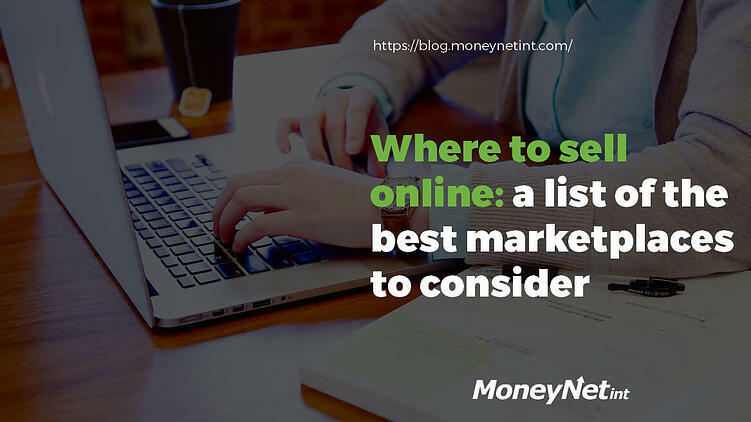 By following our list and doing a little bit of research, the right market for your products is just around the virtual corner. It’s important to remember that it takes more than just posting your product. From knowing how to evaluate social influence to picking the right marketplace, this should be a part of your overall business strategy. Carefully dissect each and every marketplace according to your needs and you can further grow your business in no time.